I was introduced to the practice of Yoga by my Nana when I was in school. The classes were held at 6 a.m. My Nana, my sister and I would walk the 2km distance to Bandstand. I used to read late into the night and therefore, I was not the happiest waking up early in the morning. On one of these walks, I asked my Nana, why we practice Yoga. He shared that in comparison to other physical exercises, Yoga makes you strong from the inside. This is an answer that has stayed with me always. He explained to me how different asanas help the organs of the body function to their best. The practice was inconsistent during school as the focus was on academics. I got back to regularly practicing Yoga since the last 3 years and I am beginning to understand now what my Nana shared with me. I have experienced how the practice has helped me build a stronger core and have an impact on life beyond the morning class. For the longest period of time, I associated a strong core with a flat stomach. I was told in the gym that doing crunches results in a strong core. The amount of time one can hold a plank also signifies core strength. In the gym, I was trained to increase my core strength by gradually lengthening the time for which I hold a plank position. My Yoga teacher says that when we try to do 100 or more crunches, we go fast and therefore, activate the larger muscles. The secret of a strong core is when the smaller muscles are activated as well. Therefore, we slow down the pace of movement and hold the postures in Yoga. This was explained beautifully during one class where we practiced Nauka asana (Boat pose). I raised my legs and upper body with a jiffy, wondering what was the big deal about this posture. My teacher then asked me to do the same posture in slow motion, being aware of lifting myself and activating my core muscles. The impact was felt immediately. I could barely hold the posture for 10 seconds! While I couldn’t stay there long, understanding and experiencing the concept made me happy. All those postures which I dream of doing, eg: Mayur asana (Peacock posture), pull ups on a bar, aerial Yoga are possible only with a strong core. In my work as an Entrepreneur, there are constant decisions to be taken. It is essential amidst all of this, to maintain a balance, to not lose sense of who I am. A strong core helps me achieve this balance. It not only helps in holding a posture like Veerbhadra asana (Warrior pose), but also ensures I am connected with myself. A strong core is like my reserve of energy. It enables me to walk through a difficult trek or pull through a trying situation. Pranayama practice or techniques in breathing also help elongate the breath and therefore start becoming aware of our core. Developing a strong core through Yoga is sustainable, as it is part of the very practice and not a means in itself. I my practice over the years, I realise that Yoga is a way of life. It is beyond just being able to do the postures. It is being able to control your mind in thought, word and deed. 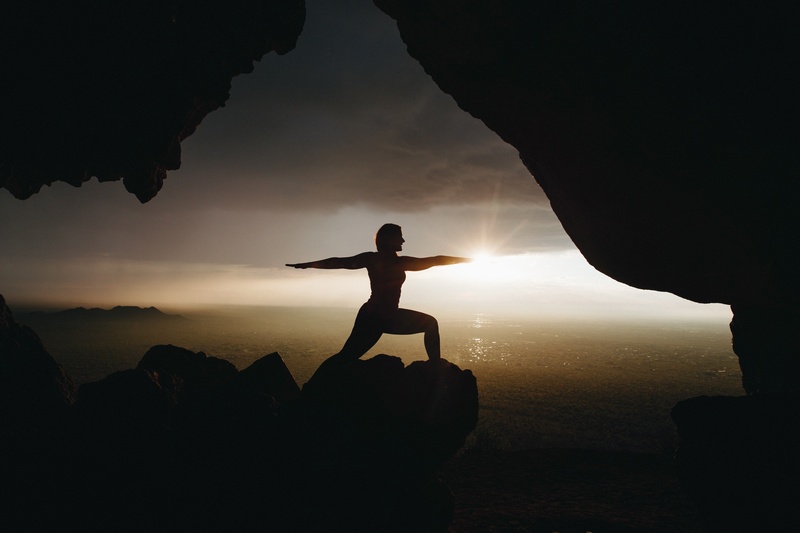 Because Yoga has an impact on more than the physical, its advantages also exceed beyond the physical.